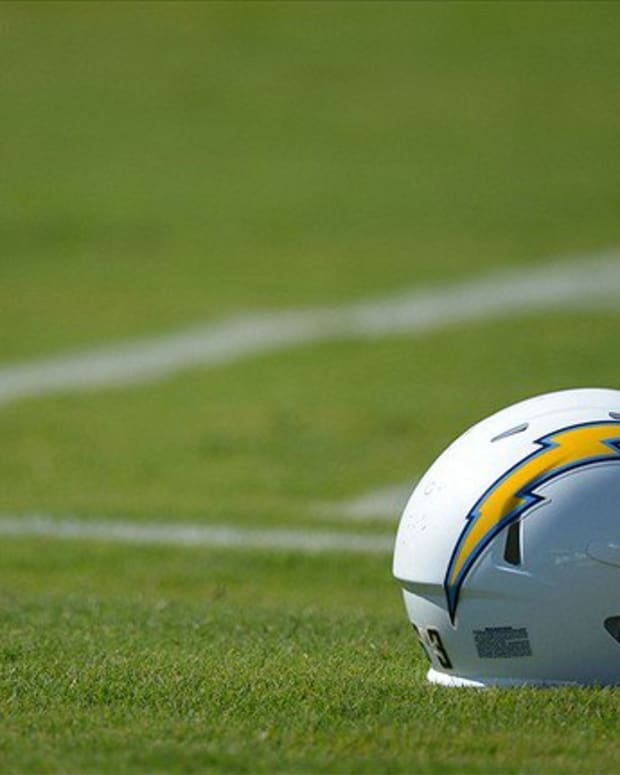 What's Wrong with the San Diego Chargers? For the San Diego Chargers, there’s plenty of blame to go around for the team’s 4-7 record. As can be expected for a team that’s lost six of its last seven games, several in excruciatingly heart-breaking fashion, there’s plenty of pointing fingers. Most of the fingers are pointing at head coach Norv Turner, which is the natural move to make, and a fair one. However, one area of the team that deserves a share of the blame for San Diego’s struggles is the offensive line. The Charger’s offensive line has underperformed in both run blocking and pass blocking throughout the season. Even with running back Ryan Matthews, a pro-bowler last year, as the team’s primary rusher San Diego is 25th in the NFL in rushing, averaging less than 100 yards per game. For the season, the Chargers have just four rushing touchdowns, with the most recent one coming all the way back in week 5. As for their pass protection, the Chargers have allowed 32 sacks on the season, which is the sixth most in the NFL. Only Aaron Rodgers has been sacked more times than the Charger’s Phillip Rivers. The inability of the offensive line to cultivate a consistent running game has put the team in passing situations, which in turn has made it easier for opposing defenses to rush the passer. It’s an endless and unforgiving cycle that has put constant pressure on the offensive line to perform at a high level, something they have failed to do far too often this season. To be fair, injuries have played a significant role in the Charger’s struggles along the offensive line. Jared Gaither, the projected starter at left tackle at the start of the year, has played in less than half of the team’s games this season, which has left undrafted rookie Mike Harris responsible for protecting Rivers’ blindside. Gaither is now on injured reserve, so unless Harris can start playing far beyond his years Rivers is going to be fearful of pass rushers coming from the backside the rest of the season. Tackle Brandyn Dombrowski is missing the season with a non-football injury and starting guards Tyronne Green and Louis Vasquez have also had to deal with injuries, leaving the San Diego offensive line without a lot of continuity this season, especially following the retirement of Kris Dielman prior to the season. Injuries may be a reason why the Charger’s offensive line has had such a horrendous season, but it is by no means an excuse. Everybody that San Diego puts on the field, even an undrafted rookie, is a professional and should be expected to play as such. But that’s not the way it’s gone for the Chargers up front this year. The running game has not only been stifled, it’s been completely useless inside the red zone. The passing game has been held back by an abundance of sacks; and in turn those sacks have led to quick and ill-advised throws that either become turnovers or drive stalling in-completions. So while you’re looking for reasons as to why the Chargers have lost six of their last seven games, there are five big ones standing around the ball right on the line of scrimmage; they’ve done their part during this losing streak and they deserve to share the blame. NFL Analysis: What Changes Do San Diego Chargers Need to Make?